Glorious sunset on the deck! Welcome to your vacation at Sea Zen Inn! 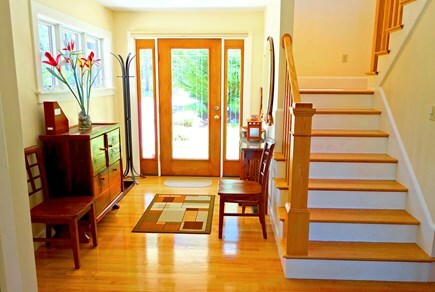 Upstairs- open living , dining, kitchen, sunroom! 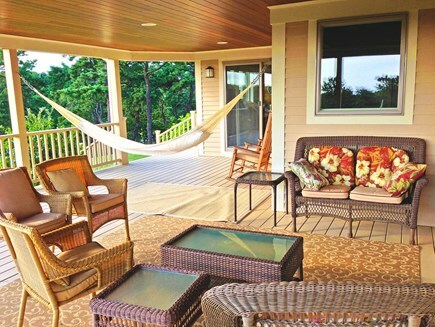 Hammock time on the covered porch! 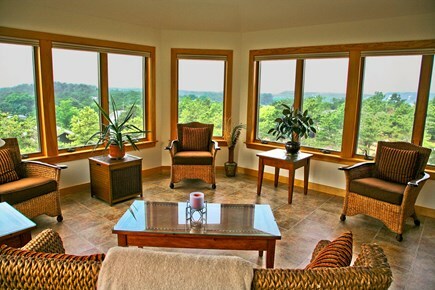 Sunroom with panoramic views over the treetops to the Bay! Welcome to Sea Zen Inn! 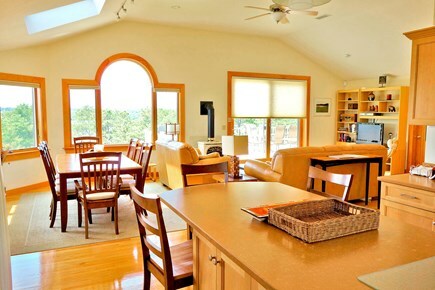 This stunning, designer home is an elegant and comfortable sanctuary located in peaceful South Wellfleet. Situated on a large, private lot at the highest point in the area, the house looks out over a wide expanse of treetops to the bay beyond. The owner, who is an artist, custom designed every element of the home. Occupancy is up to 8 people including children. Sorry ,but no pets and no smoking are permitted. Central air conditioning is available for hot summer days.To inquire about rental, please email here or call 617. 512-1594. The interior layout of the house is very spacious; there are 3 levels of indoor living space to afford comfort and privacy for all. 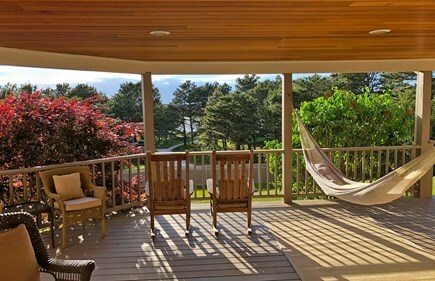 In addition, there are 4 fabulous outdoor living spaces to enjoy: the stone patio, the large covered porch (with hammock), the main deck, and the lookout deck. Four designer bedrooms each have a comfy queen bed and a different personality. On the entry level are 2 bedrooms; there are 2 more bedrooms are found on the walk out level to the patio. The house has 3.5 bathrooms plus an outdoor shower and a sink area in the laundry room. 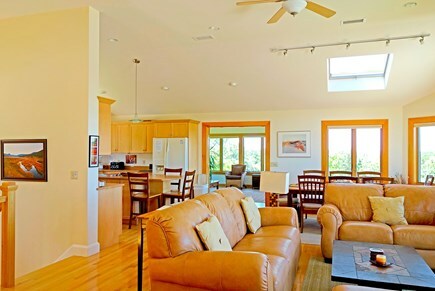 When you go upstairs, you enter the open plan dramatic living/dining/kitchen area and the dazzling sun room. 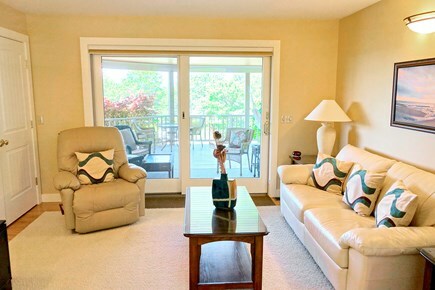 From the living room area, you can go out the oversized slider doors to the large main deck. There are panoramic views in every direction plus dining and seating and an outdoor grill. 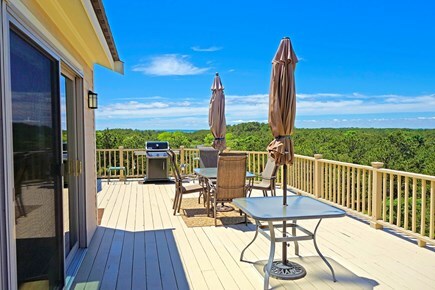 From the main deck, you can walk up to the lookout deck and enjoy seeing the landscape unfold for miles and miles around! Other features include: a jetted soaking tub in the master bath, a gourmet kitchen (with an oversized island, dishwasher, microwave, electric cook top ,and side by side refrigerator ), a den for reading, huge arched windows, wood trim throughout ,beautiful Zen style landscaping, privacy blinds, a dedicated laundry room (with washer/dryer ,deep sink and ironing board), five house televisions with cable, good speed whole house wifi, and central air conditioning. Additional availability info: Check in days vary; some weeks start on Friday, others Saturday or Sunday. Please discuss. Additional pricing info: Discounts available for more than one week rental. Please contact the owner to discuss. State and local taxes of 12.45% will apply. We liked everything! The views from the house are amazing, particularly the roof deck. Great sunsets! The house is clean and very well organized. Labeling of things was very helpful. Lots of space! Liked that no food was left behind when we arrived. Carol, the owner, even left a fully stocked beverage cabinet for us! The location is great. Convenient to everything. Loved Wellfleet. Took advantage of everything. Lucked out with the weather. Game of Labrynth was a big hit with adults and kids! 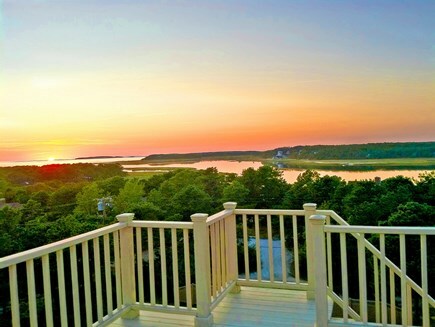 We all fell in love with Wellfleet. So much to do. We did the drive-in theater and watched "Despicable 3." The kids love it! Did 3 days at Cahoon Hollow Beach. Went out twice to Mac's Shack, once to The Bookstore (restaurant). Did the Audubon walk and walked around Lieutenant Island. We ordered lobsters from Mac's Seafood. We played tennis and golf at Chequessett Yacht Club. We swam almost every afternoon at Long Pond, the kids' favorite place to swim! On the last day, we did a paddleboard excursion. Breakfast at Wicked Oyster was awesome, as were the pastries from PB Boulangerie. And we drank many Dark and Stormies. Overall a 10! We were so sad to leave! It was a delight to have you visit Sea Zen Inn this year! 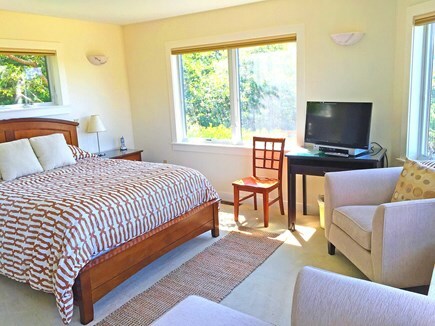 Tucked away in a quiet residential neighborhood, Sea Zen Inn is the perfect getaway for family and friends. 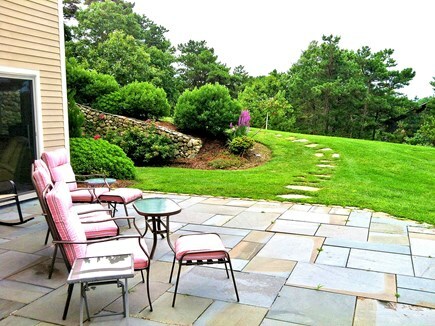 Upon arrival we were immediately impressed by how immaculately clean and well laid out the property is. 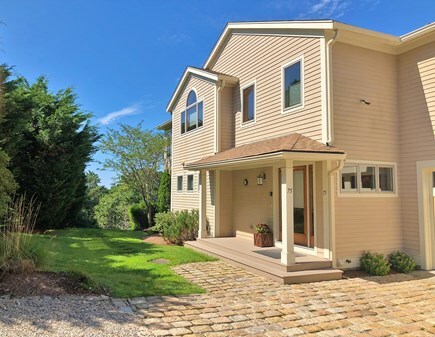 This location in Wellfleet is perfect for easy access to Rt. 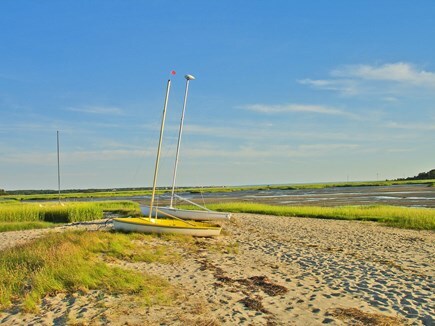 6 and a short drive to other Cape Cod attractions from Chatham to Provincetown, while still providing much privacy. Each nook of this designer property is aesthetically pleasing, with beautiful artwork offering delight at every turn. 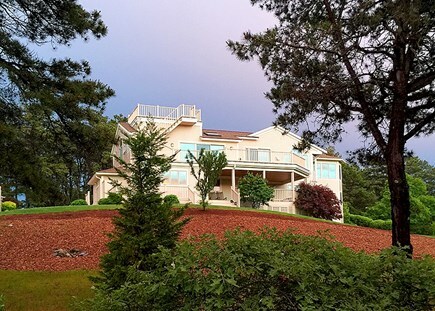 Enjoy breathtaking water views from the the panoramic decks, or luxuriate in calming tree lined views from the sunroom. We overpacked like a bunch of rookies and found there was no need! The kitchen is well equipped for an ambitious chef and plenty of linens are provided for convenience. This house is perfect for spending time with family and friends, yet big enough for each individual to maintain a sense of privacy. We enjoyed coffee on the deck in the mornings and dinner watching the sunset over the bay. Outdoor sitting areas on every level of this home was perfect for retreating with a good book. Lastly, Carol the owner is a pleasure and so helpful. Thoughtful and thorough, our stay at Sea Zen Inn was perfect! 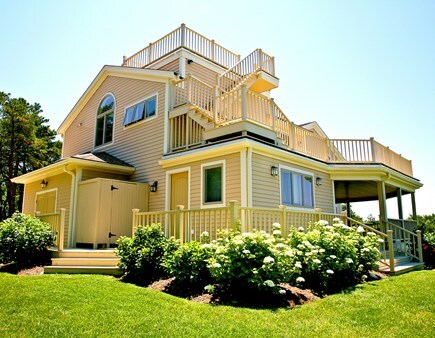 Best house we ever rented on the Cape! Where to begin with the many accolades for Sea Zen?! The house itself is immaculate, sun filled, and very well laid out.The kitchen is equipped to fulfill any and all cooking whims. Linens and towels are provided...a real plus! The house itself allows for privacy when desired yet also encourages camaraderie. It is a quiet neighborhood yet with easy access to route 6. The grounds are stunning...especially when the hydrangeas are in bloom. The spellbinding views from the many decks can make it difficult to get motivated to leave and enjoy the nearby beaches. In the unlikely event that any issues come up, Carol is readily available to resolve. 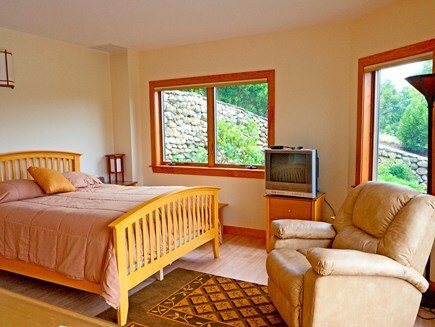 We have been return visitors for 6 consecutive years and highly recommend this property! We loved staying at this amazing and meticulously maintained home. 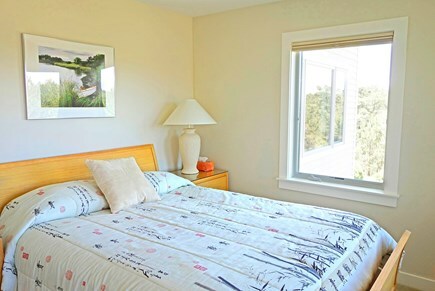 It is peaceful, has stunning views and is in walking distance to a sweet Bay beach. We enjoyed the bike path, the ocean beaches and particularly love swimming in the local ponds. Every room in this house is appealing and we enjoyed sitting in the spacious living area in the evenings to watch the sunsets. The sunroom has a fantastic view of the entire Bay. I highly recommend Sea Zen Inn!